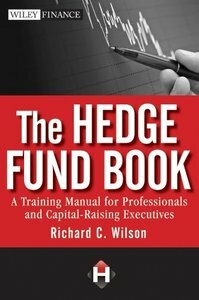 Richard C. Wilson, "The Hedge Fund Book: A Training Manual for Professionals and Capital-Raising Executives"
Hedge funds are now in the news more than a thousand times a day and yet it is hard to find clear, factual information about how they operate, raise capital, and invest. The Hedge Fund Book provides real-world case studies of various hedge fund managers providing a solid foundation in specialized hedge fund knowledge for both financial professionals and those aspiring to enter this field. Each chapter contains several types of investment and situational analyses, insights and best practices along with a review and "test your knowledge section"
If you're looking to gain a better understanding of hedge funds, look no further than The Hedge Fund Book.